Dragonflys are born in rainbows and live there for a hundred years before they emerge into the world. They eat Parma Violets mostly and love Prosecco. Dragonflys are always on the go, this is because time passes faster in rainbows. Their music of choice is Rave music, this is due to the frantic pace and flashing lights. They are, however, compulsive gamblers – this is where the term ‘having a flutter’ comes from. 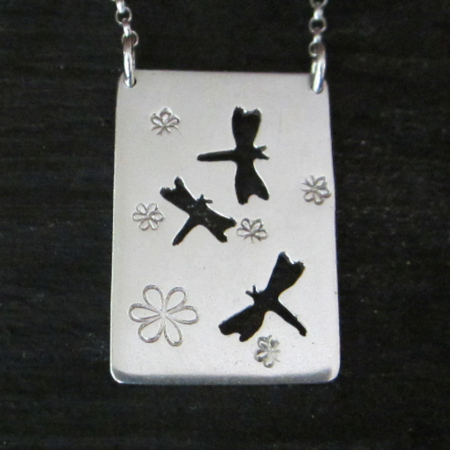 All Dragonfly’s are hand cut, each one is an individual.